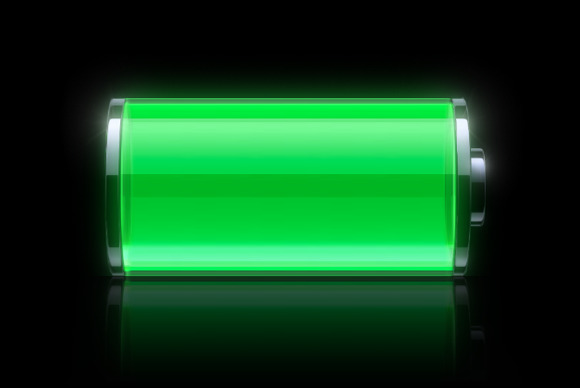 Lab Tests: How long does the iPhone 5's battery last? Given some of the iPhone 5’s other improvements—thinner body, larger screen, and greater number of pixels to illuminate—it wouldn't seem that the new phone could also match, much less exceed, its predecessor's battery life. And, in fact, it doesn't, though it comes close. Apple has claimed that the iPhone 5 would deliver “up to 10 hours” of video playback on a single charge—the same as the 4S. 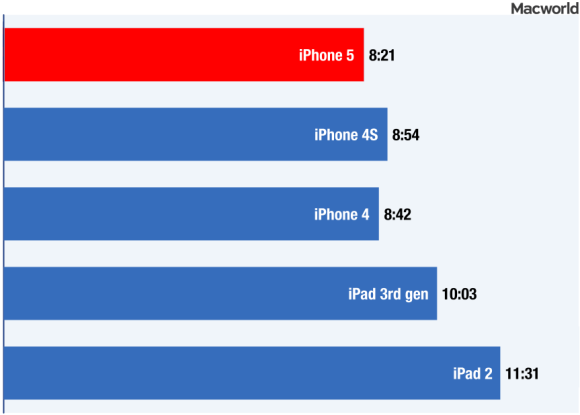 To see how good the new iPhone's battery life really is, I ran it through our standard battery test and then compared the result to those of the iPhone 4S, and iPhone 4; for good measure, I also compared it to the third-generation iPad and iPad 2. More specifically, I first updated those older devices to iOS 6. I then took a luminance meter and set the screens of all of the devices to 200 nits. I turned off Auto-Brightness and put each device into Airplane mode. Lastly, I set the volume two clicks up from its lowest setting. Then, with the same 120-minute video playing at fullscreen on repeat, I timed each device to see how long it would take to drain the battery and power off. Results are in hours:minutes. Longer bars are better. The results: Simply put, the iPhone 5 did not last as long as the iPhone 4S or 4. It lasted 8 hours and 21 minutes—about 6 percent less than the iPhone 4S and about 4 percent less than the iPhone 4. Compared to the two current iPads (which have much bigger batteries), the iPhone 5 lasted 27.5 percent less time than the iPad 2 and 17 percent less than the third generation iPad.